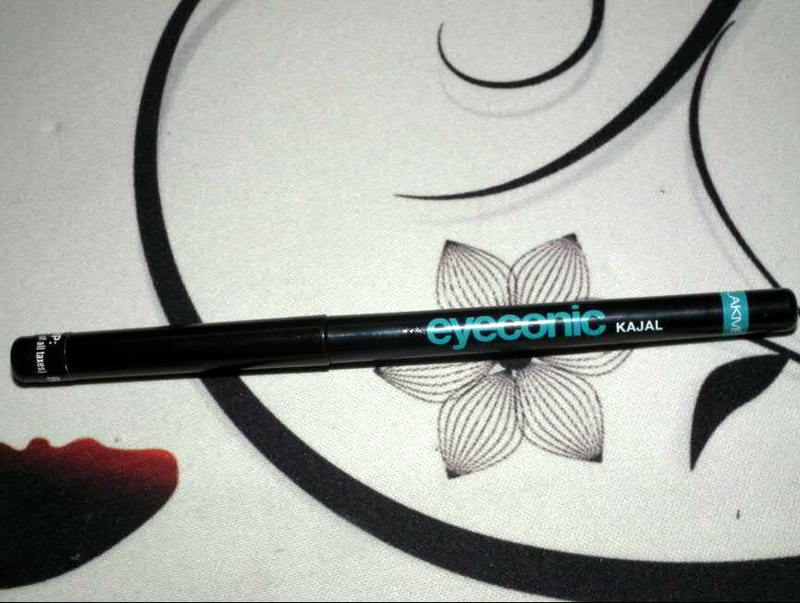 Lakme Eyeconic Kajal - is a black kajal with matte looks and creamy feel to it. It has this dry feel to it that doesn't let it smudge a lot but appears to be "gritty" after a while. It gives you nice 4 hrs of wear and I do feel like touching up after that. I had to repeat the process at least 3 times to build up the product and look smooth. If you like to use Maybelline Colossal Kajal then you might end up comparing Lakme Eyeconic Kajal with Colossal. Maybelline Colossal Kajal is creamier, blacker than Lakme Eyeconic Kajal, that leads to pretty smooth application of the product. Application on waterline - Easily applicable to lower waterline but a little difficult to apply it on upper waterline. Weather and Lakme Eyeconic Kajal - During this humid weather of New Delhi, I noticed that my Maybelline Colossal Kajal faded and smudged a bit within 4 hours. However, Lakme Kajal scores here. It does not smudge at all but it kind of falls. It is waterproof for sure and I wash my face without worrying of applying it again (but I do like to apply it once more after 4 hours). Lakme Eyeconic Kajal falls flat with the claim that it stays for 10 hours. 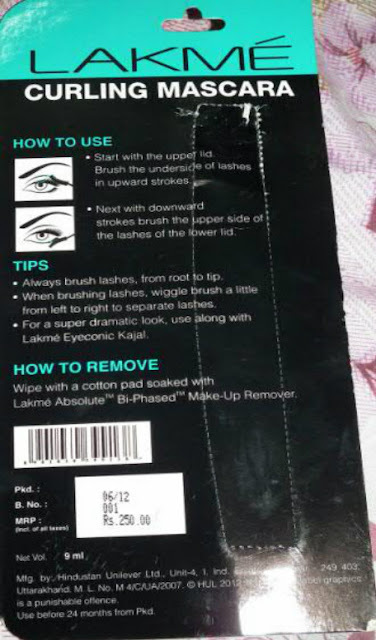 Lakme Eyeconic Mascara - I was pretty excited to try out this because it comes with a curling brush. I have very light, small and straight lashes so anything that could work on my straight lashes is always welcome. Unfortunately, Lakme Eyeconic Mascara did not work on my lashes but it give them body with a little curve (Pictures will be able to explain). So, this is an average mascara to me. 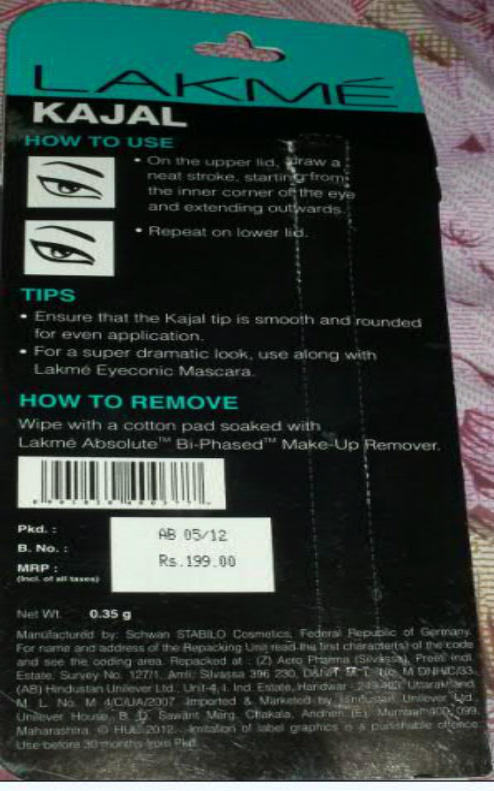 When I read the claims of Lakme Eyeconic Range , I noticed that it did not read "water proof mascara" anywhere but this word was sure attached to the kajal. I am not sure if it was intentional by Lakme but I did feel that this mascara can not bear a splash of water. My lashes are back to their normal body but with a little black and stiffness to them. I am going to try Maybelline Colossal Mascara now so I can compare these two as well. I could easily remove kajal and mascara both with a (any) cleansing milk. 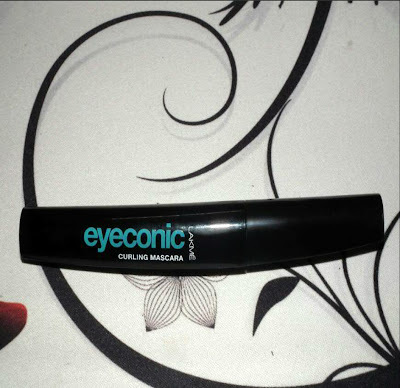 Eyeconic Curling Mascara. The mascara gives the eyes an intense black finish and comes equipped with a curling brush that helps give curves to your lashes. It is also enriched with D-Panthenol – a moisturizer which keeps lashes soft and smooth. The product makes the eyes look brighter and adds a perfect sparkle to your entire look. You are fond of kajal and you hoard them. You like smudge free kajal that stays for long hours. Both products do not sting at all. You had long lashes, mascara will work on your lashes perfectly. Mascara can not stay with water. It fades. 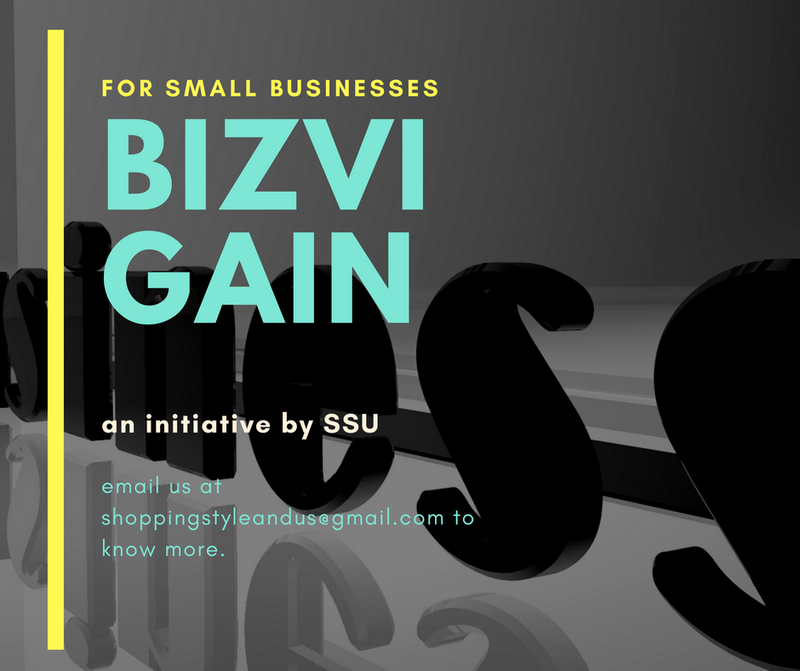 It is beneficial for everybody. We can give it a shot if we like!! It's ok but we should think twice before we invest into it. I think this is the best review on this range and I appreciate your honesty.